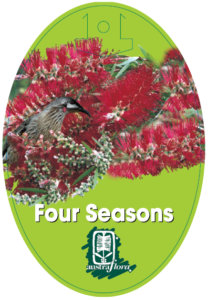 Any time’s a good time for Callistemon Four Seasons. 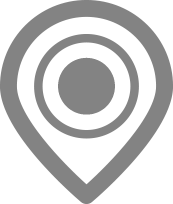 And any place. 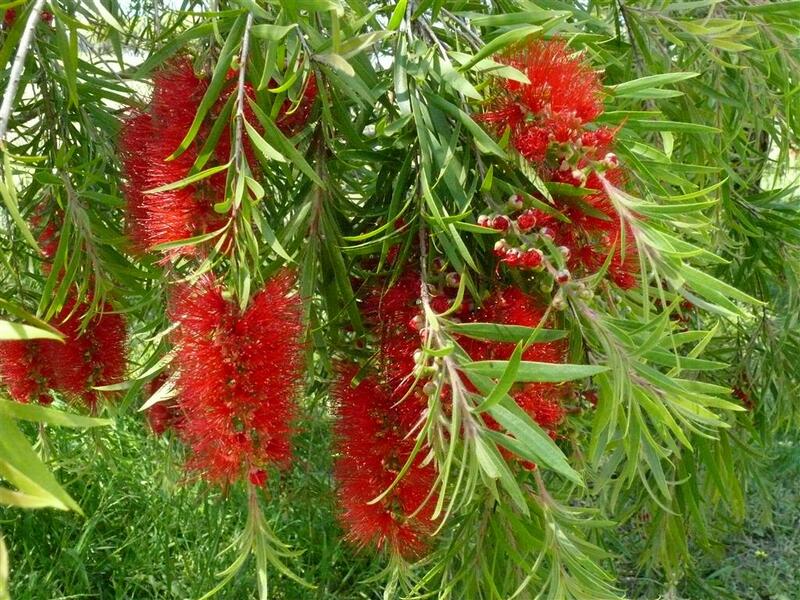 Like its sister shrub, Callistemon Mary MacKillop, it’s a compact shapely medium-sized shrub for hedging & screening ~ or in parklands and broad landscapes, magnificent when mass planted. And what a favour to honeyeaters ~ food & shelter all year round. Bright red brushes in clusters amid the soft green pendulous foliage, pretty as a picture, and with full sun, in cool to warm climates, it will grow in all soil types except the very alkaline. Seasonally wet or dry conditions are tolerated, light frost won’t bother it and a coastal site is fine. For maintenance, just an occasional trim but not too hard or you’ll cut off the honeyeaters’ breakfast.